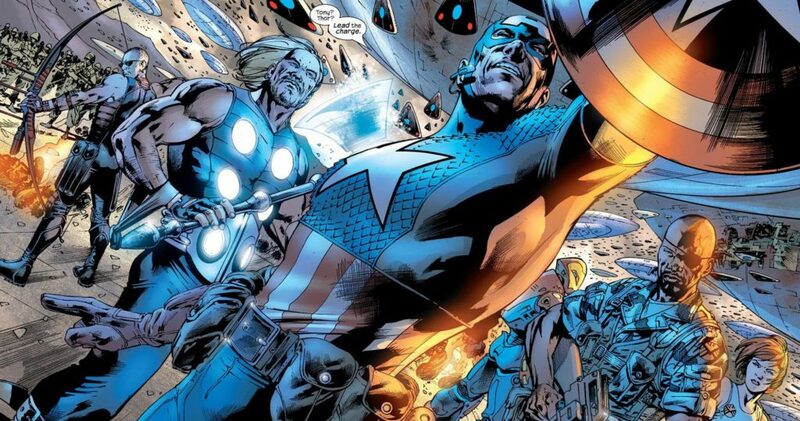 Fresh off adjacent stints on Wildstorm’s The Authority, creators Mark Millar and Bryan Hitch gave the Avengers a modern makeover for the launch of the 2000’s Marvel Ultimate Universe. The result was The Ultimates. Below you’ll find a complete guide The Ultimates from their origins to present day. I’ve noted my favorite series with the Comic Book Herald logo next to the series title. The initial run by Mark Millar and Bryan Hitch, and the most essential starting place for understanding the Ultimates and their place in the Ultimate Universe. I’ll note here that in general, I’m not just including every Ultimate Universe event as part of the Ultimates reading order. Even though they naturally have a role, I’d recommend the complete Ultimate Universe reading order for that type of read through. Speaking of, this shark got jumped, mugged, beaten, bloodied, and eaten. 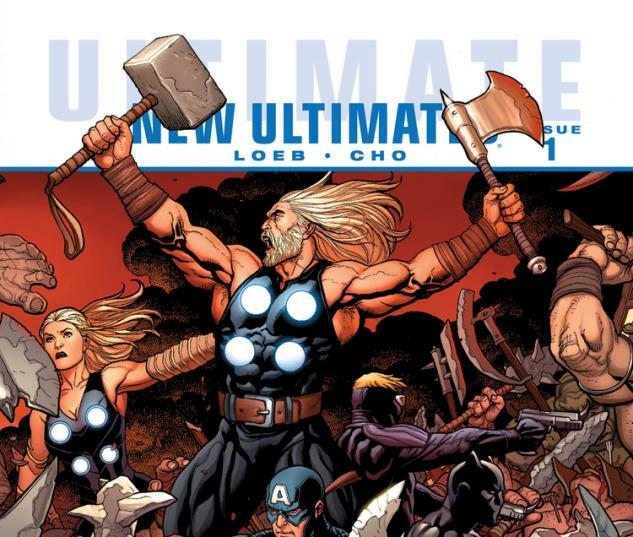 Writer Mark Millar returns to the Ultimates for a rebranded series of “Ultimate Avengers” minis. The Jonathan Hickman written and Esad Ribic drawn era of Ultimate Comics Ultimates begins! A great take on the team post-Ultimatum. Following the events of Cataclysm, Michel Fiffe (of Copra reknown) takes over writing an all-new younger Ultimates (including Ultimate Spider-Man, Miles Morales). The Ultimates (and Ultimate Universe) came to a rather disappointing end in the otherwise excellent 2015 Secret Wars. 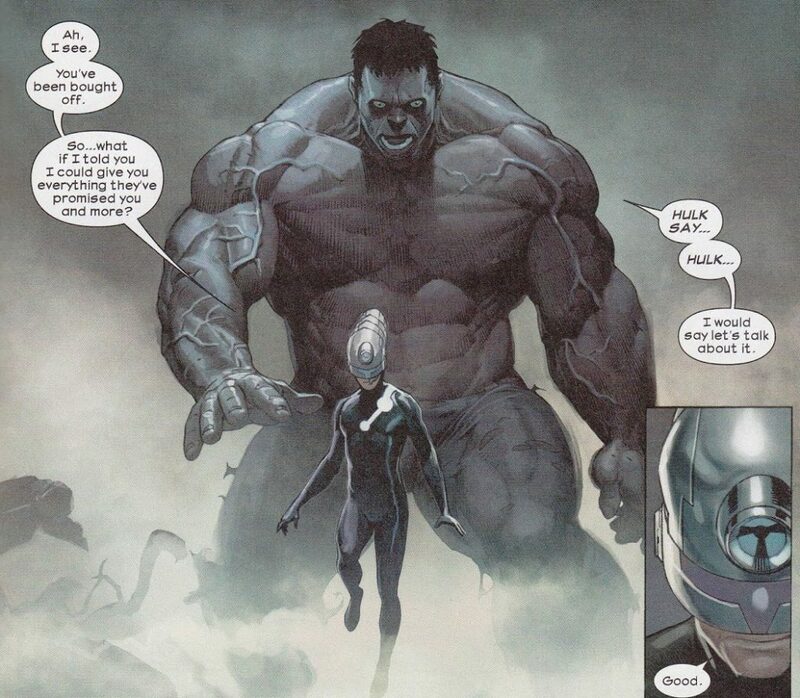 Amazingly, even without the Ultimate Universe in operation, Marvel restored the Ultimates as one of the publisher’s best titles, behind the creative efforts of Al Ewing, Kenneth Rocafort, and later Travel Foreman. 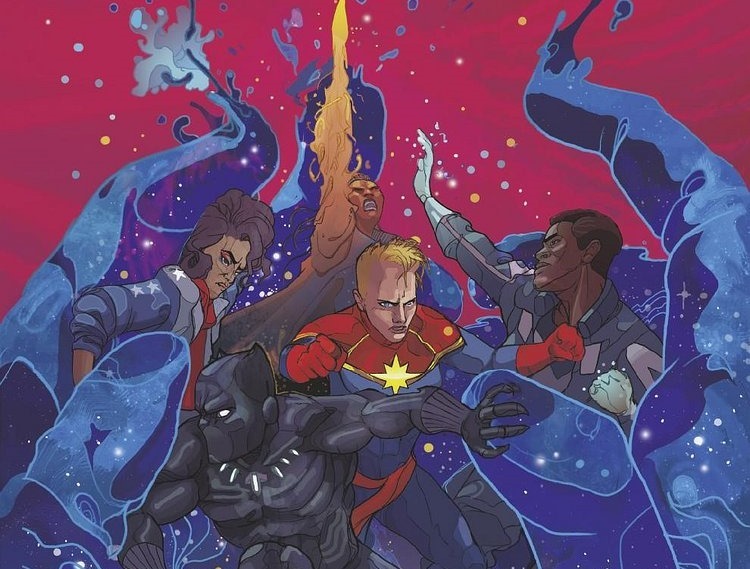 Ewing’s work on this new lineup of Captain Marvel, Adam Brashear, Black Panther, Monica Rambeau, and America Chavez is one of my favorite series of the decade, and one of the best Marvel Cosmic books of all time.